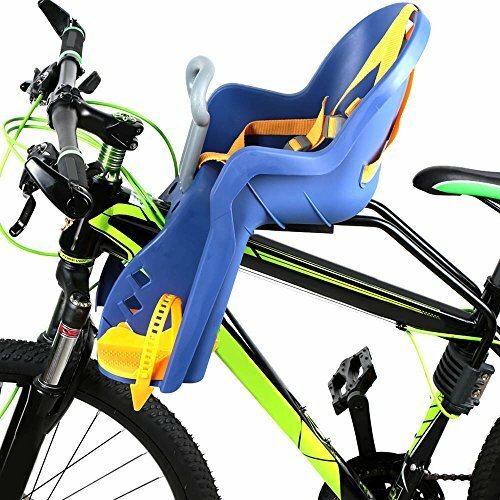 This bicycle child seat is compatible with all frame sizes 24" 26" 28" MTB. Easy to install and remove. It will create much fun for your kids. Meet European standard EN 14344. Soft cushion fixed by fastener tapes. Mini handle bar allows your child to hold. Adjustable anti-slip shoulder straps for a safe seating. Easily adjustable footrests, no tools required. Compatible with all frame sizes 24" 26" 28" MTB. Easy to install and remove when needed. Compatible with all frame sizes 24inch x 26inch x 28inch bicycles. Soft cushion fixed by fastener tapes, mini handle bar for child to hold. Adjustable anti-slip shoulder straps for a safe seating, easily adjustable footrests, no tools required.